You have to love that we’re giving away a coloring book for adults, right? The Bastyr University Bookstore is featuring this lovely activity book PLUS a set of 12 colored pencils to one of our subscribers. Sweet! 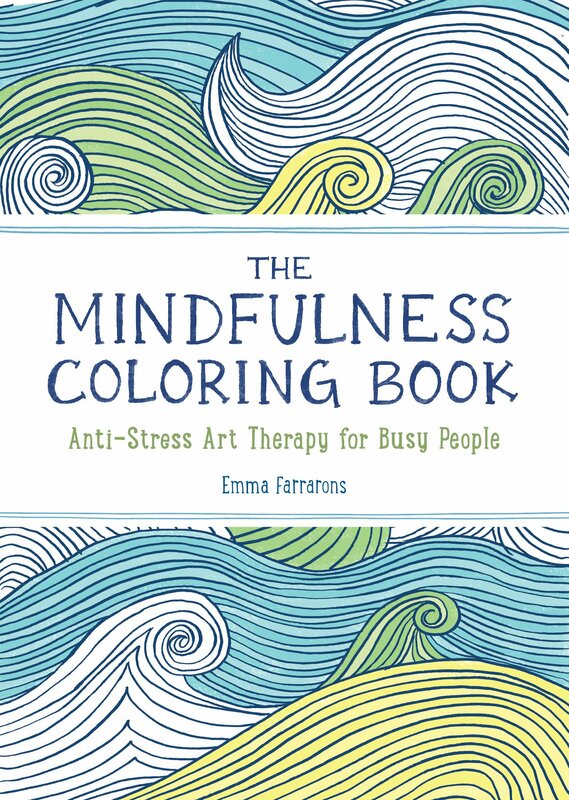 In The Mindfulness Coloring Book, accomplished illustrator Emma Farrarons presents 70 intricate and beguiling patterns to help you color your way to tranquility. Here are flowers, leaves, butterflies, and birds alongside rolling waves and kaleidoscopic designs. 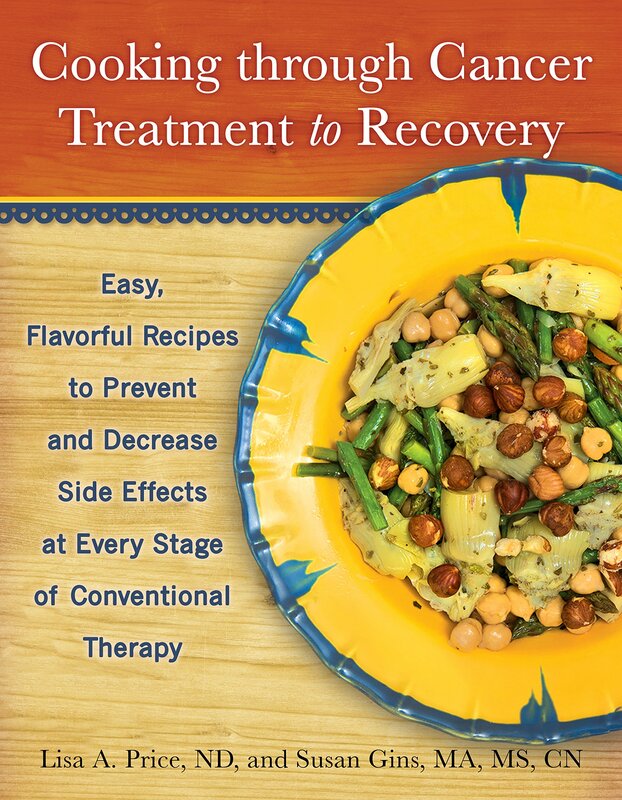 The Bastyr University Bookstore has offered up this new book written by two of our alums, Dr. Lisa Price and nutritionist Susan Gins, who saw a need and filled it beautifully. Feeling a Cold or Flu Coming On? I’ve nipped countless colds in the bud doing this. This practice comes from Jennifer Adler, MS, CN who is adjunct faculty at Bastyr University and owner of Passionate Nutrition . Jennifer teaches the Therapeutic Whole Foods Cooking courses at Bastyr which are wildly popular (SRO). If you feel a cold, flu or illness coming on, prepare Miso Happy Broth or STRONG Ginger Tea. The ginger warms the body and helps fight infection, the miso offers probiotics which can kickstart the immune system. Put a warm hat on and get in a hot bath. Drink the soup/tea while taking the bath. Get out, put on sweat pants and sweatshirt and get under the covers in bed. Keep your hat on. Take a long sweaty nap. This regime helps the body create the fever it needs to burn out the illness before it takes hold. Anna (# 55) was picked by the trusty random.org. Sound like it would work to me! There were so many effective home remedies submitted. Give them a read. Thanks to all! I’m going to go squeeze some lemons. Our newest sponsor is Bastyr University. Hooray and welcome! Bastyr is the largest university for natural health arts and sciences in the U.S., combining a multidisciplinary curriculum with leading-edge research and clinical training. They offer a range of graduate and undergraduate programs including naturopathic medicine, acupuncture and Oriental medicine, midwifery, nutrition, health psychology, exercise science and herbal sciences. I am core faculty for the nutrition department and the director of the culinary arts curriculum. Our Bachelor of Science in Nutrition and Culinary Arts degree program, introduced in fall 2009, was instantly popular (yea!). The Bastyr Center for Natural Health ( their gorgeous clinic located in the Fremont neighborhood of Seattle) offers quality natural health care to the community while providing essential clinical training for students. If you want to learn more about the university and their degree programs, visit www.bastyr.edu. Sometimes the Stirring Literature posts on our blog will be written by Carol White. Carol recently finished her MS in nutrition at Bastyr University, and feels the desire to “pay it forward.” One way she plans to do this throughout her career as a nutritionist is by blogging about food, nutrition and health. Carol was my teaching assistant for a quarter at Bastyr. Before that she was my student and I remarked then about her clear, succinct and personable way of writing down her thoughts. She was also my roommate at “goat camp” aka Quillisascut Farm School where we enjoyed keeping our room quiet except for the white noise of the fan. Besides studying nutrition and health, Carol likes to write, read, cook, and eat. (me too). She is very partial to walking in the woods as her main form of exercise, is married to a wonderful man who shares her interests, and is “mother” to Maxie the dog and Hannah the cat. Her very own personal blog is Cocoa Nibs. Tell her hi when you have a chance. I’ve gotten a couple of comments lately expressing some skepticism about whether it’s okay to eat butter or not. In the nutrition department at Bastyr University, where I teach, we believe that the best fats come from traditional source. In other words, we’re less impressed with the large selection of refined polyunsaturated oils that are so widely used and more impressed with the fats that have come from natural whole foods sources: like butter, ghee and (dare I say it) lard. Yes these products contain saturated fats. And I’m proud to stand up and say I eat them. There. Did you know saturated fats and cholesterol make the membranes of the cells firm? Without them the cells would become flabby and fluid. If we humans didn’t have cholesterol and saturated fats in the membranes of our cells, we would look like giant worms or slugs. And we are not talking about a few molecules of cholesterol here and there. In many cells, almost half of the cell membrane is made from cholesterol. Foods with cholesterol in them have been a natural part of the human diet for …well forever. Recent studies are actually linking cardiovascular disease more strongly with refined grains, lack of exercise and stress. Not to eating too much butter. Butter is 66% saturated fat and 30% monounsaturated fats. It is stable, has fewer rancidity problems and maintains its integrity when cooked. Butter contains lauric acid, lecithin and vitamins A & D. If the butter comes from cows allowed access to pasture, the possible presence of omega 3 fatty acids increases. This is great stuff. Plus the temperature at which butter sizzles but doesn’t brown happens to be perfect for cooking eggs. Let’s hear it for auditory cooking signals! When you add fats to certain vegetables it increases the bioavailability of certain nutrients, particularly the fat-soluble vitamins. Nice. Sauté kale in butter and garlic. Live long and prosper. Within reason (what does that mean? – like a couple of tablespoons a day) butter in the diet is preferable to seed oils and certainly preferable to imitation butters. If you’re still nervous check out THINCS (The International Network of Cholesterol Skeptics) – a group of international physicians and scientists that don’t believe that eating foods that contain cholesterol is linked to heart disease. Who knows, maybe they’ll even find out the eating butter helps you make more brown fat (the nutrition buzz word in today’s news). Let’s make scones! Weigh in kids. Do you eat butter? Give me support.